(…) once the data has been examined and compared, it has been possible to formulate first, and classify later (inductive approach), the level of foreign influence in every pioneer centre studied in this article. It has been observed at least four different types of genesis based on the level of foreign influence, that I have provisionally labelled with the following names until a superior way of classifying it is found: I) endogenous genesis; II) quasi-endogenous genesis; III) mixed genesis; IV) exogenous genesis. These four categories can be grouped inside of the following two: (i) consolidated genesis, and (ii) non-consolidated genesis. As far as the latter is concerned, these types of cases are perhaps the most interesting from a historical point of view since they mostly remain to be discovered. These types of genesis consist of attempts at surfing by one or several individuals, but were interrupted without continuity by these individuals, as it happened in the case of Ignacio Arana, Spanish consul in Hawaii (1911-1914), who took two surfboards to Spain in 1914, the case of Nuno Fernandes in Figueira da Foz (Portugal), in the 1940s, the case of Rosenberg (1929) and Pip Staffieri (1941) in England. I) Endogenous genesis. There is no foreign influence. This type of genesis was related to those places where surfing was born as a natural longue-durée process of a relationship between natives and the waves. As far as this research has concluded, this only occurred in Polynesia, where surfing (he’e nalu in Hawaiian) was a natural and cultural activity among the ancient Hawaiians. It is also known that in Tahiti, surfing (in its stand-up style, not prone, as it was usually practised in the rest of Polynesia), was eventually practised by natives. II) Quasi-endogenous genesis. In this type of genesis the local pioneer surfer does not have any direct contact with the surf, but virtually only through the mass-media (films, magazines, documentaries, etc. ), but decided after this virtual contact to shape their own rustic surfboards. This was the case in Salinas (Asturias), where Félix Cueto created a surfboard inspired by the front cover of the Surfing USA L.P., in 1963. The case of San Sebastian (Basque Country), where Iñaki Arteche shaped a surfboard inspired by the cover of Life magazine (issue 25th October, 1963, where a red surfboard appeared). 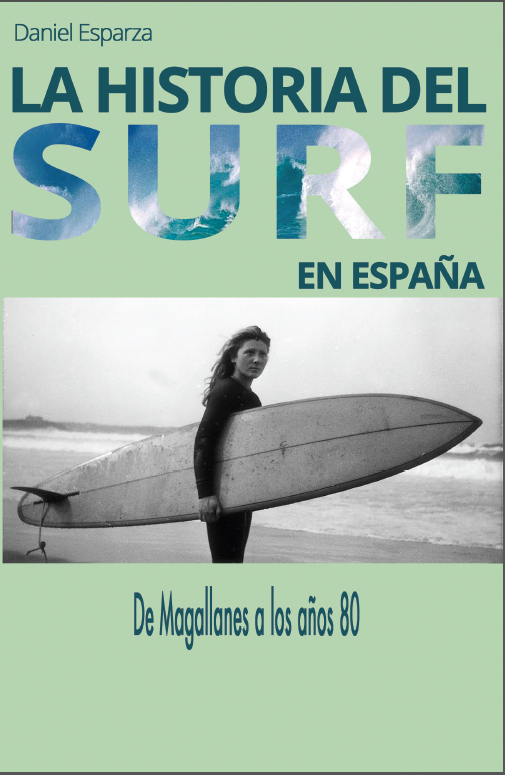 The case of Pepe Almoguera, Malaga (southern Spain, Mediterranean) in 1970, where he designed two surfboards, after watching an American movie at the Albeniz cinema, where background images of people surfing in California appeared. III) Exogenous genesis. The influence of foreigners is completely direct. Local surfers learned about surfing observing it from the shore and finally borrowed or even bought their own surfboards. This was the general case on the Canary Islands at the end of the 1960s (and the beginning of the 1970s). It was also the case for Tapia de Casariego (Asturias) in 1968, introduced it by the Gulley brothers from Australia; and also the case of San Vicente de la Barquera (Cantabria), where Peter Viertel introduced it. IV) Mixed genesis. By mixed genesis it means those that share both elements from quasi-endogenous genesis and exogenous genesis. This means that the pioneers became familiar with surfing for the first time through the mass-media (quasi-endogenous), but did not design surfboards, but instead ordered them or bought them abroad (exogenous characteristic), as was the cases with Jesús Fiochi in Santander, who ordered and bought his surfboard in France in 1965; similarly, the case of José Luis Elejoste, from Vizcaya, who in 1965 bought a surfboard in Biarritz (France). *** There is a need to improve this theory with further information from other parts of the world (additional case studies). There is consequently a need to join forces with other colleagues around the world. This should result in the formation of a more robust theory and a deeper knowledge of surfing expansion.